" Very comfortable and lightweight. Love the new smaller size. Been wearing Sleepweaver masks for several years and this is the best by far! " " I could not wear the other masks as my face and nose would swell. I was allergic. This is a great alternative. It is also lighter and more comfortable. " 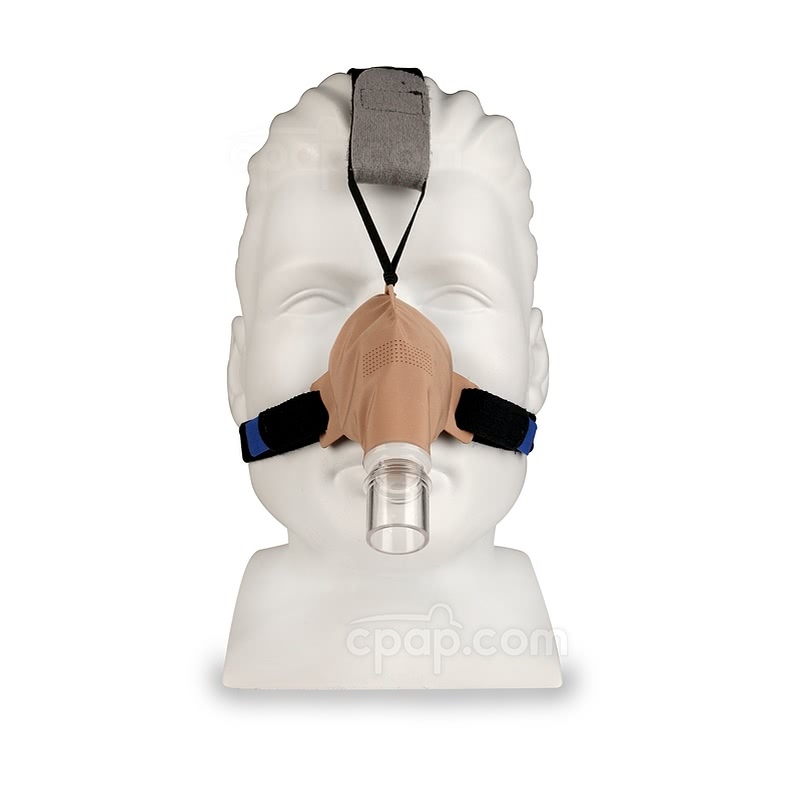 The SleepWeaver Advance Small Soft Cloth Nasal CPAP Mask with Headgear from Circadiance includes features of their popular soft cloth mask in a smaller size covering less of the face. The beauty of the SleepWeaver line of masks lies in the soft cloth used to create a seal. Extremely lightweight, the breathable material greatly reduces the chance of red marks. Circadiance offers a 30 day money back guarantee on the SleepWeaver Advance Small Soft Cloth Nasal CPAP Mask with Headgear. If dissatisfied with the Advance Small contact CPAP.com for return authorization. 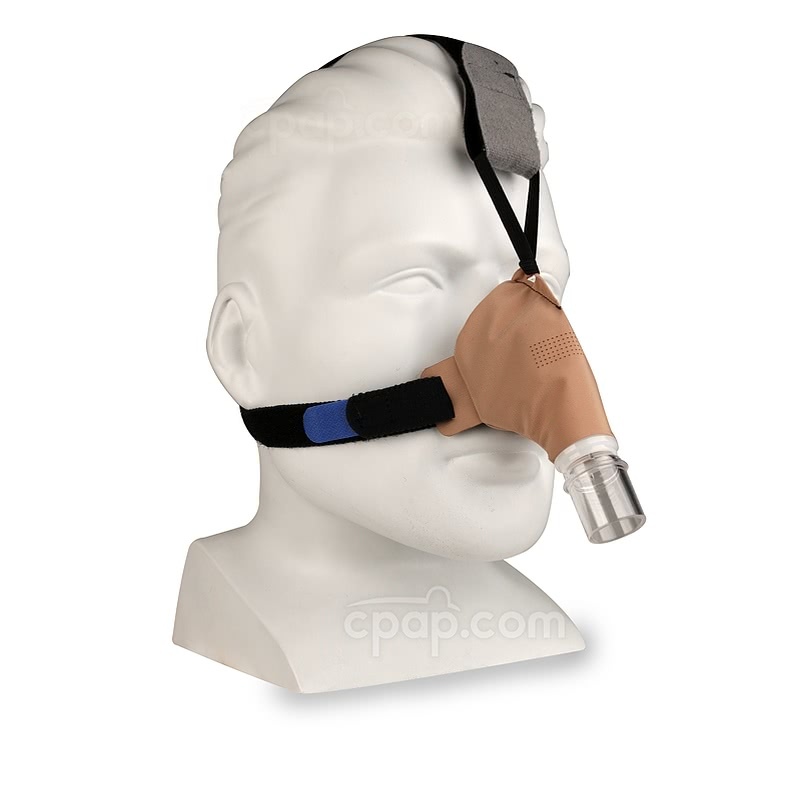 Circadiance offers a smaller version of their soft cloth nasal mask with the SleepWeaver Advance Small Soft Cloth Nasal CPAP Mask with Headgear. Updates to the design results in a smaller cushion and offers a secure fit and seal. This is a nasal mask and covers only the nose. Good news! Users looking for the lightweight comfort of a soft cloth mask now have a good option! Circadiance designed the updated SleepWeaver Advance Small Soft Cloth Nasal CPAP Mask in response to feedback from users of their mask. The Advance Small has a smaller cushion with 15% less fabric than the SleepWeaver Advance Nasal CPAP Mask with Improved Zzzephyr Seal. The mask touches less of the face and sits lower under the eyes. Less fabric means an even lighter weight mask. To view the earlier version of this mask CLICK HERE. Circadiance's unique soft cloth Zzzephyr Seal "balloons" to inflate with the flow of air from the machine. The inflated cushion conforms to the face for a soft seal. The cloth material used for the Advance Small reduces the likelihood of red marks or abrasions which may occur when using traditional masks. The Zzzephyr Seal shifts with movement and accommodates a wide range of sleeping positions without losing seal. Circadiance configured the exhalation holes to offer just the right amount of exhalation in a diffused pattern without a jet of air to disturb the user or a bed partner. The exhalation holes are located on the front of the cushion. The headgear is soft and durable. The material is designed to wick heat and moisture away from the head to enhance comfort. The design of the headgear offers stability for the cloth mask. An extended adjustment strap provides an additional four inches on each side and the top to accommodate both large and small heads. The headgear should be worn loosely, with enough room for a finger to be placed between the headgear and the head. The Advance Small uses the same headgear as the SleepWeaver Advance Improved. The manufacturer of the Advance Small offers a 30 day money back guarantee trial period. Before using the Advance Small for the first time, review the Fitting Tips on the Important Tips tab of this product page. The headgear straps are intended to be worn loosely to allow the mask to balloon for seal. Circadiance includes a detailed instruction sheet with the mask, which is also available electronically on the Important Tips tab of this product page. If the Advance Small is not a fit, contact CPAP.com for return authorization information. The SleepWeaver Advance Small Soft Cloth Mask is very lightweight and deserves a lighter tubing. 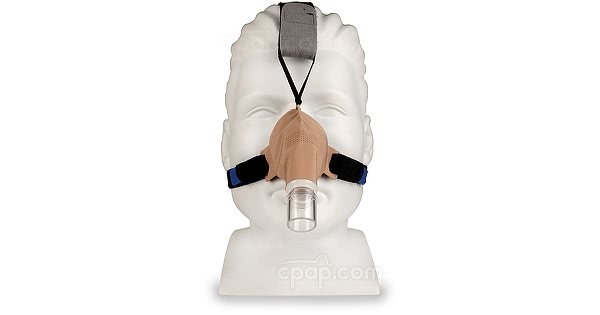 Consider including the optional SleepWeaver Feather Weight Tube between the mask and the regular long tubing. Adding the lightweight, flexible hose helps to reduce mask drag and increase freedom of movement, reduce leaks and increase comfort. The SleepWeaver Advance Small Soft Cloth Nasal CPAP Mask seals differently than silicone or gel CPAP masks. A loose fit achieves a better seal with the material. To view or print the entire SleepWeaver Advance Small Instructions for Use CLICK HERE. Leave the side straps loose enough to fit one finger between the straps and the face. If you have any questions feel free to give us a call at 1-800-356-5221. Do NOT use baby shampoo on SleepWeaver products. Circadiance also recommends against oil based soap when washing the SleepWeaver Masks. See the Specs Tab of this product page for a complete list of manufacturer approved cleaning methods. The manufacturer recommended cleaning the SleepWeaver every morning. The entire mask should be hand washed and rinsed well, alternately the mask can be placed in the washing machine using a "dedicates" bag. With no hard-to-reach places or detachable pieces the SleepWeaver is easy to clean and it does not have be taken apart the mask for cleaning. Once the mask is cleaned, hang the mask to dry out of direct sunlight. DO NOT place the mask in a clothes dryer. Turn the nasal mask, so the elbow connection is facing downward and the user is looking at the underside of the mask. Just below the nasal opening, the word " S M A L L" is written out to indicate the size of the mask.